This can't just be a cleanup, it has to be a turning point. 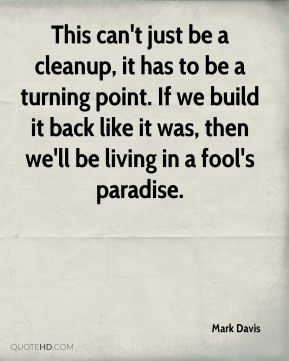 If we build it back like it was, then we'll be living in a fool's paradise. The initial plan showed improvement for the cemetery, ... 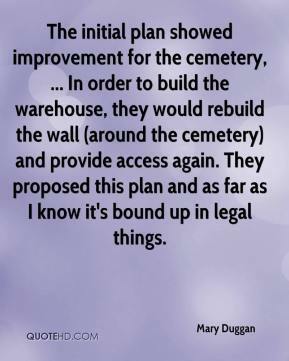 In order to build the warehouse, they would rebuild the wall (around the cemetery) and provide access again. They proposed this plan and as far as I know it's bound up in legal things. 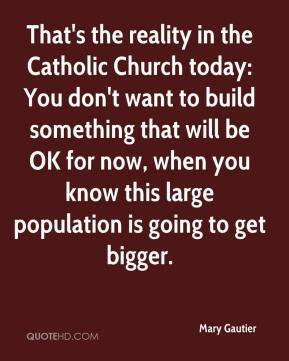 That's the reality in the Catholic Church today: You don't want to build something that will be OK for now, when you know this large population is going to get bigger. I thought it was fun to be given [three] things and build the whole movie around it. 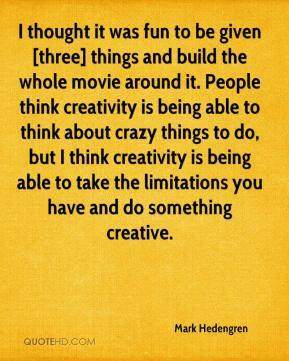 People think creativity is being able to think about crazy things to do, but I think creativity is being able to take the limitations you have and do something creative. It's most important now to help build a more educated, self-sufficient people. It's an incredibly tense time in Pakistan. This is our best opportunity. Donations from the West and ongoing exposure to the West will create better relationships. These people are the future of Pakistan. They in turn will care about us. It's a new beginning in a new region in Pakistan. 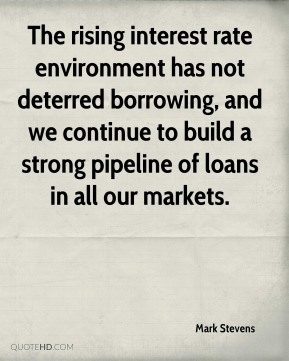 The rising interest rate environment has not deterred borrowing, and we continue to build a strong pipeline of loans in all our markets. 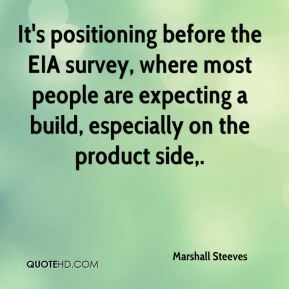 It's positioning before the EIA survey, where most people are expecting a build, especially on the product side. I always disagreed with the separation of the name and the brand and the person, ... To build on that name and brand is one thing. 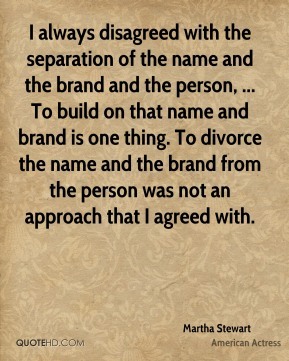 To divorce the name and the brand from the person was not an approach that I agreed with. 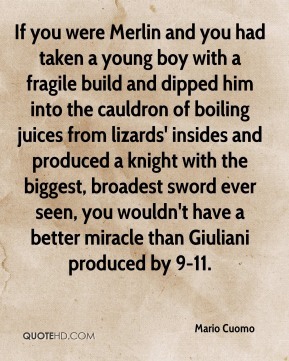 If you were Merlin and you had taken a young boy with a fragile build and dipped him into the cauldron of boiling juices from lizards' insides and produced a knight with the biggest, broadest sword ever seen, you wouldn't have a better miracle than Giuliani produced by 9-11. 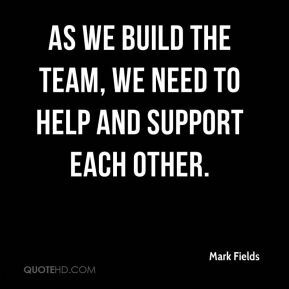 As we build the team, we need to help and support each other. 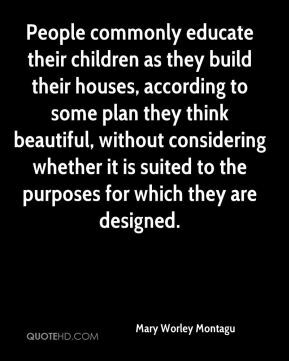 People commonly educate their children as they build their houses, according to some plan they think beautiful, without considering whether it is suited to the purposes for which they are designed. 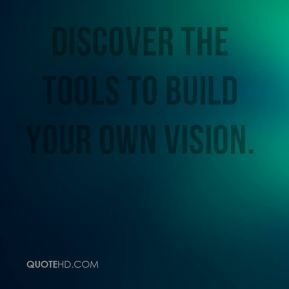 These are the games that you build confidence with. 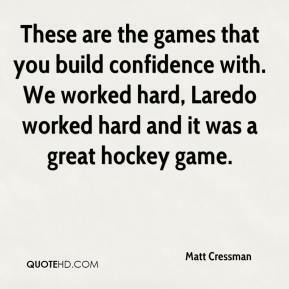 We worked hard, Laredo worked hard and it was a great hockey game. 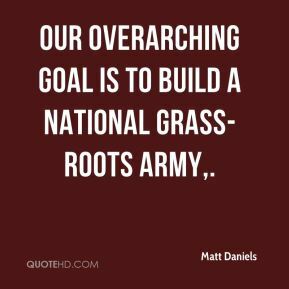 Our overarching goal is to build a national grass-roots army. 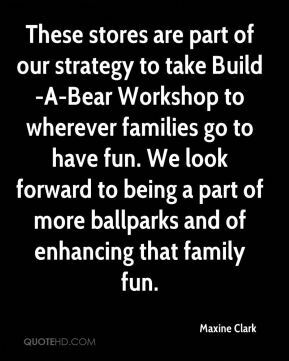 These stores are part of our strategy to take Build-A-Bear Workshop to wherever families go to have fun. We look forward to being a part of more ballparks and of enhancing that family fun. This is when it starts for me, pretty much. 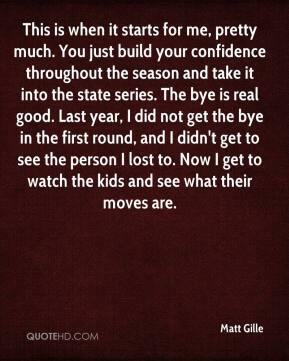 You just build your confidence throughout the season and take it into the state series. The bye is real good. Last year, I did not get the bye in the first round, and I didn't get to see the person I lost to. Now I get to watch the kids and see what their moves are. I think the kids sense that we're trying to build teamwork. 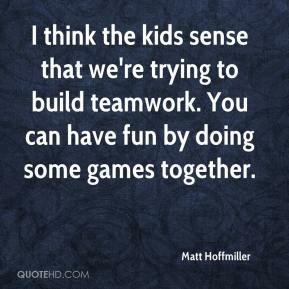 You can have fun by doing some games together. 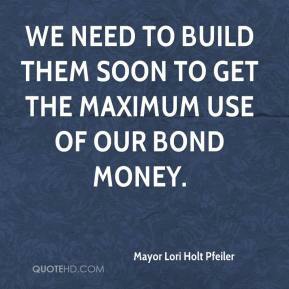 We need to build them soon to get the maximum use of our bond money. 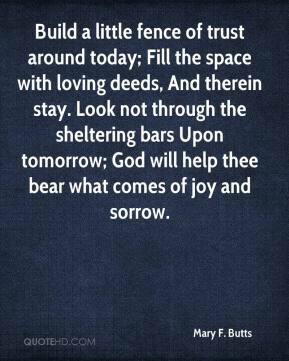 He helped me build my confidence. 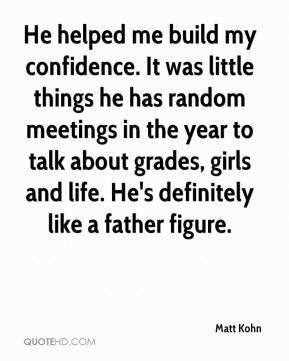 It was little things he has random meetings in the year to talk about grades, girls and life. He's definitely like a father figure. 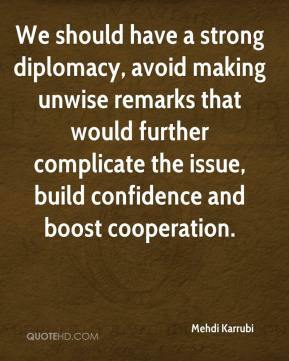 We should have a strong diplomacy, avoid making unwise remarks that would further complicate the issue, build confidence and boost cooperation. We didn't know what to expect. 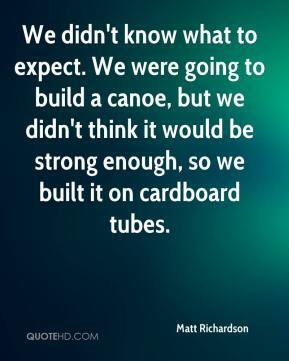 We were going to build a canoe, but we didn't think it would be strong enough, so we built it on cardboard tubes. 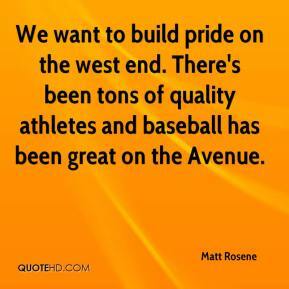 We want to build pride on the west end. There's been tons of quality athletes and baseball has been great on the Avenue. 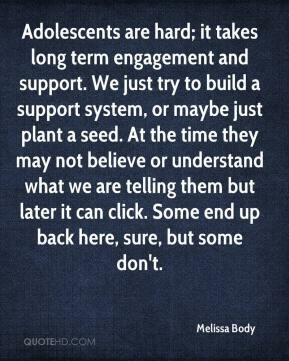 Adolescents are hard; it takes long term engagement and support. We just try to build a support system, or maybe just plant a seed. At the time they may not believe or understand what we are telling them but later it can click. Some end up back here, sure, but some don't. Are there any pillars on which to build? We'll have to see, starting with myself. The fans have a right to be angry. They travelled all that way to see what occurred out there. 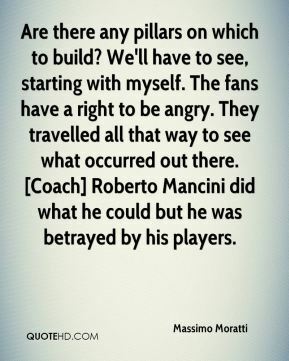 [Coach] Roberto Mancini did what he could but he was betrayed by his players.